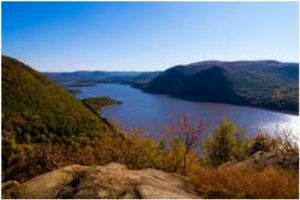 Spanning over 7,228 square miles and 11 counties, the Hudson Valley has over 70 hiking trails to offer. With fall in full swing it’s the perfect time to experience some of the beautiful scenic views with an autumnal flair before winter takes over. Located in Fishkill, N.Y., Mount Beacon is located under a half hour away from campus. The trail is a moderate level hike spanning 4.4 miles and taking up to 5 and a half hours to complete. 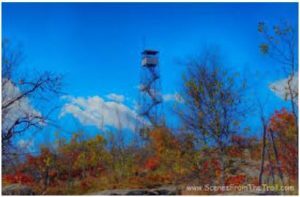 An attraction on this trail is the Mount Beacon fire tower which can also be climbed and, on a clear day, the New York City skyline can be seen from the top. True to its daunting name Breakneck Ridge has a rating of difficult. The trail is located in Phillipstown and less than a 20-minute drive from campus. The 3.7 mile trail takes approximately 4 hours to complete. There are some steep climbs and sharp cliffs to be wary of, but the views are worth it. This family friendly trail spans 6.4 miles and can be completed in about 4 hours. The views include lakes and waterfalls to be seen along the path. It may not be the best choice for a quiet stroll around the lake due to the park’s frequent crowding, but the area is so vast that you can find new scenery each visit. 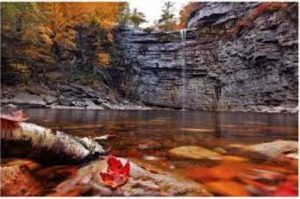 Located in Kerhonkson in Ulster County, the park is about a 45-minute drive from campus. These three trails are barely a fraction of what the Hudson Valley has to offer. The Mount is lucky to be located near such an abundance of natural beauty. Right now is the perfect time to enjoy the trails before they’re covered in snow. Happy hiking!